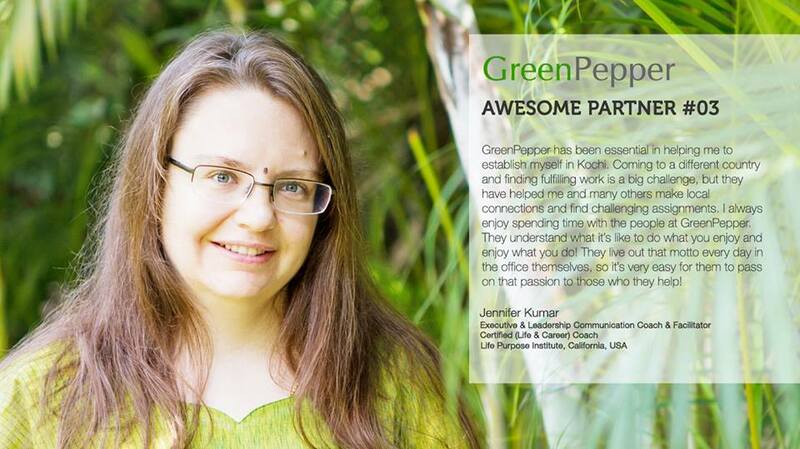 Recently, I was featured as an 'Awesome Partner' by Green Pepper, an HR firm in Kochi. I have been connected with them for about two years. They have helped me to land some challenging and memorable assignments in the Kochi area. If you are a company looking for help to hire new employees, or you are relocating to Kochi and are looking for a job, they will be more than happy to help you! Click here to view Authentic Journeys in other respected media such as The Indian Express, Deccan Chronicle, Expat Arrivals and Pocket Cultures.